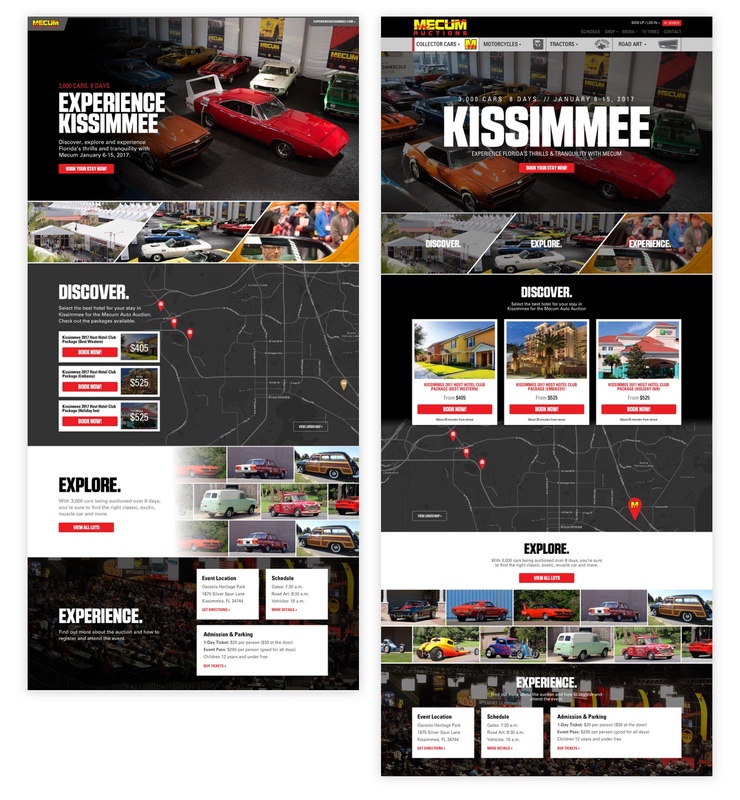 Throughout my time with Mecum, I've been working with the team to build a variety of experiences from consumer to business tools. In addition to the consumer products shown here, I've been building interfaces for a new Salesforce tool to manage all back-of-the-house operations. 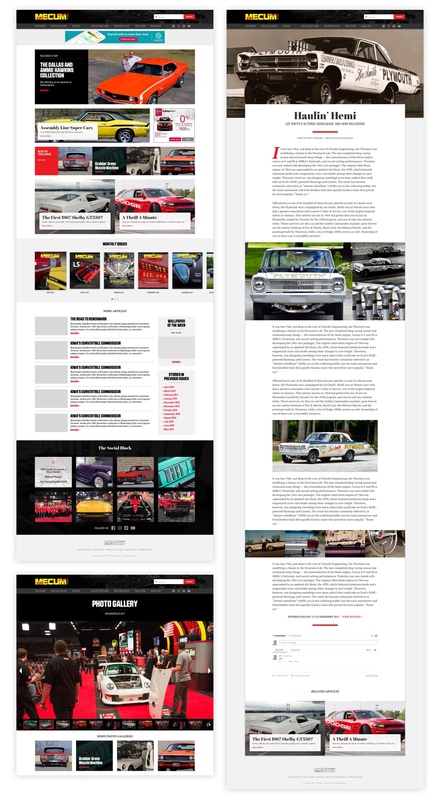 Below is a few designs of a publication called Mecum Monthly. Currently, it is a printed magazine sent to all Gold Members each month. They wanted to bring the experience online, and I was tasked to design a new publication website featuring the content. Each year, the biggest auction Mecum hosts is in Florida. There are approximately 3,000 cars on the auction block, and brings in a lot of revenue for the company. I was asked to design a landing page for potential visitors. The one on the left was the original concept I pitched, and we eventually launched the one on the right. As a registered member or bidder of Mecum, you have the ability to manage your account, registering for auctions, and select your dream cars to help you decide which cars to bid on. Below are a few examples of the Dream Car experience where users can search for specific makes and models to build your list and find available acts.